We've been enjoying the weather this past week. It has been crazy beautiful and the windows have been cranked open as much as possible. The sun has been streaming in and my spirits have been lifted from all the much needed vitamin D I've been getting. One thing I love about our house is the natural light, but if I could go back and do it all over again, I would add even more windows. You can't go wrong with lots of windows! This past weekend the little girls struggled with a bout of sickness. Guinnyth was croupy and Julia had a high fever for a few days. Needless to say, that come Monday, I was in need of a little essential oil pick-me-up. Thankfully, all is well now and the girls are on the mend. Along with the lovely weather comes a lot of nature studies for the kiddos. 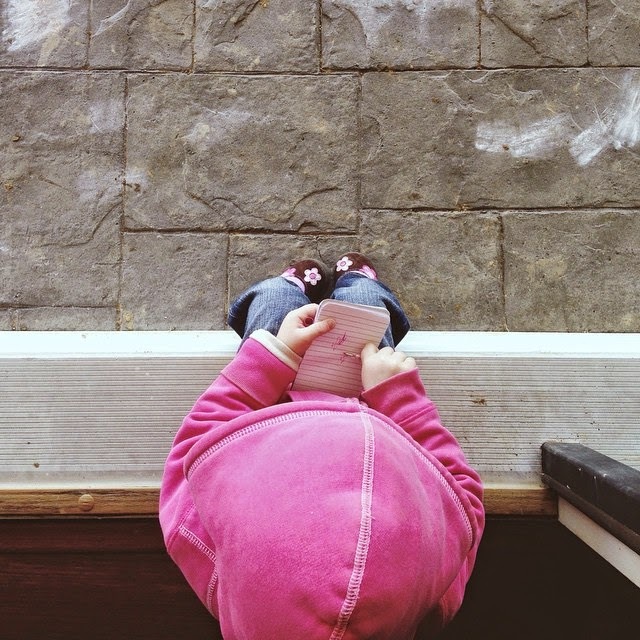 Liam and Ella love taking their notebooks outside and doodling everything they see. They recently went back to the timber behind our house and sketched squirrels, deer, and sheds. Guinnyth had to have her notebook, too. She sat on the front porch and drew the chalkboard eraser dust marks. It's not really nature, but whatever works. To be honest, my favorite part of this picture are her little toes pointed inward. I have been utilizing the kitchen sink for Julia's baths. I can get her bathed while one of the older kiddos washes up in the bathtub. She's not a fan of baths and I can't figure out why. I throw toys in. I talk and sing to her. Nothing seems to make her content. 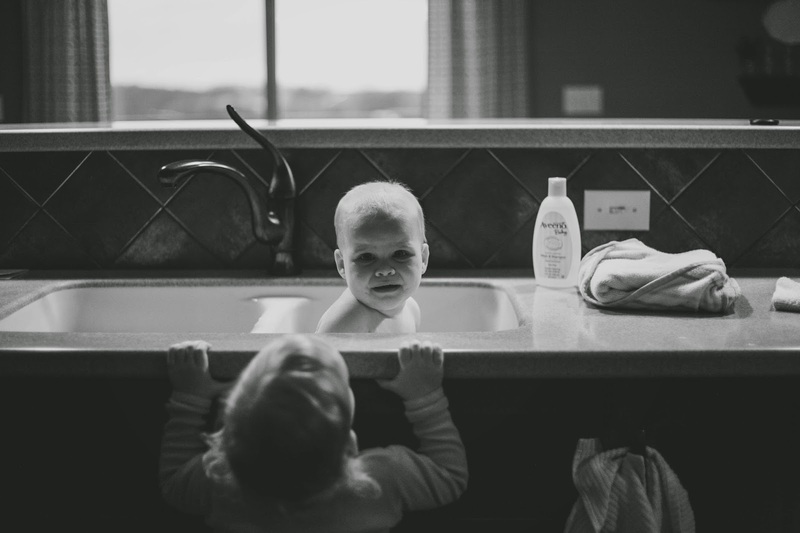 I kind of want to cry, too, when I think about her being the last baby I bathe in our sink. This week I am co-hosting with Jess @ Sadie Sky Boutique and I'm so happy to share the "It's the Little Things" linkup here on the blog today! Be sure to swing by her blog, Sadie Sky Blog to say hi! 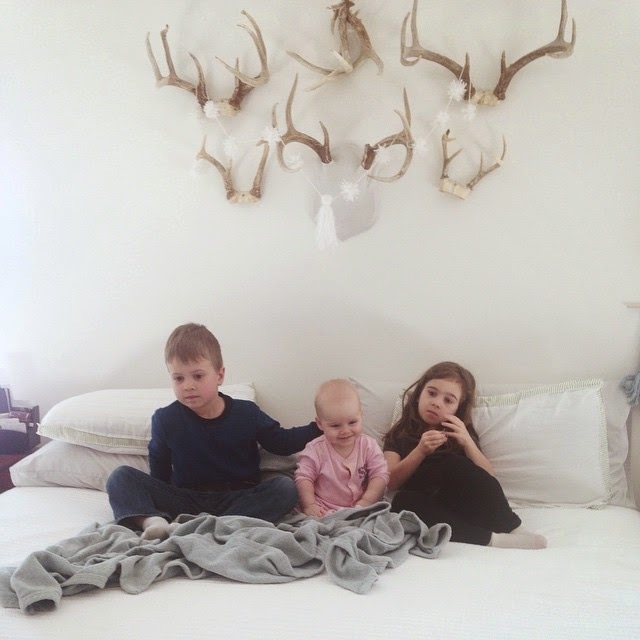 I love peeking into her sweet family's life and seeing what's going on! Thanks for the link-up. I'm 14 and 15. 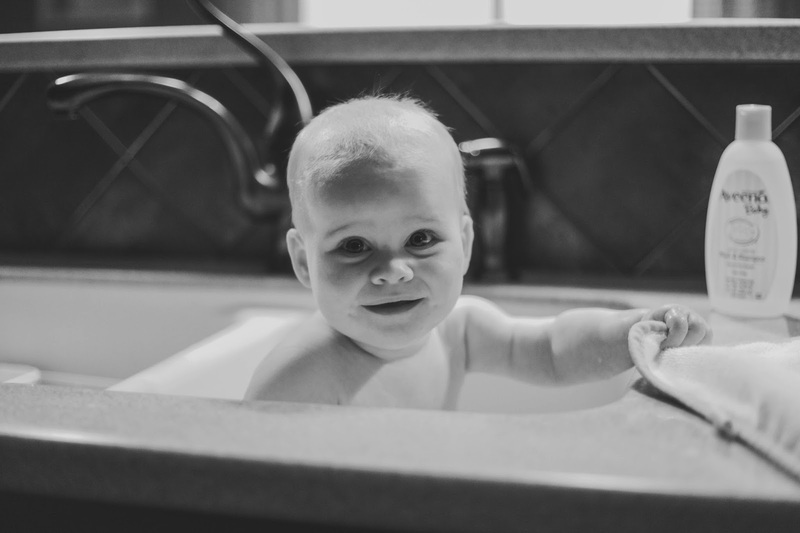 There's nothing quite like bathing a baby in the sink. It's one of the sweetest things. Love your beautiful pictures! I totally agree! I love chubby babes in sinks. :) Thanks for linking up! I have had the windows open this week too and it is SO refreshing!! Total mood lifter for sure. Yes! SO nice to have fresh air filtering through! I love Young Living! When my son suffered from anxiety in his sleep, we used Young Living oils and the anxiety went away! His anxiety was so bad he would throw up in his sleep. I am very thankful the oils rid him of this!! Oh my goodness! That is such an amazing testimony! 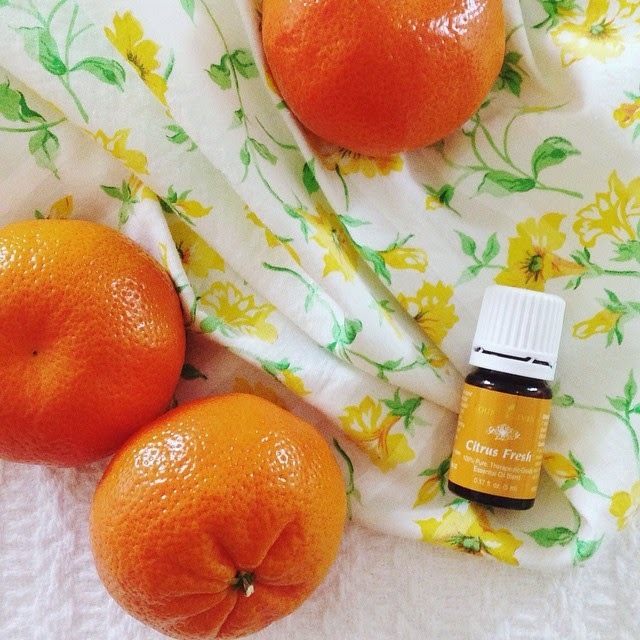 We have had skin issues that have been fixed with the use of essential oils. They are amazing! THanks for linking up!